This volume presents up-to-date and innovative research contributing towards advancements in the field of the ore study and of the deposits exploration. The interdisciplinary research that characterizes the European Geoscience Union conferences, which typically covers a very broad range of disciplines dealing with Earth Sciences, is reflected in the contributions gathered in this volume. 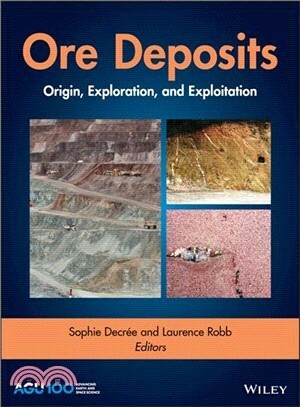 This volume aims to address the burning questions of the ore geologists belonging to an academic environment as well as the exploration geologists working for a mining company, giving them a broader overview of the following: (1) new keys for the understanding of the ore deposit genesis and (2) helpful tools for exploration. Moreover, this volume would also prove useful for geochemists, mineralogists and geologists interested in magnetic susceptibility and spectral imaging studies. Indeed, new developments concerning mineral study such as cathodoluminescence, magnetic susceptibility, datings (Re-Os, Sm-Nd methods) and remote sensing are discussed in this volume along with their significant importance in ore deposit exploration.